Voting in the US is conducted by an electronic system under a federal law passed in 2002, the Help America Vote Act. The law states that the federal government will finance and support the process, but let each of the 50 states conduct the voting in the manner that it chooses. However, this has created a lack of synchrony between the computerized systems ahead of the Nov. 8 presidential election. Some systems use out-of-date operating systems that are no longer supported by their manufacturers and thus have not had security updates for a long time. Others are very vulnerable since they were created in a period before cyberattacks were taken into account. It was only a matter of time before problems surfaced. In August, election officials revealed that the databases of registered voters in the states of Illinois and Arizona were hacked over the summer. It was also discovered that the personal data of 200,000 potential voters, including their addresses, telephone numbers and e-mail addresses were uploaded to the “dark web” and put up for sale to the highest bidder. Possible interference with the election is very disturbing. In states like Georgia, where the number of Democrats and Republicans is almost the same, every vote could be a deciding one. The clearest example of this was the 2000 presidential election when George W. Bush defeated Al Gore in Florida by just 537 votes following intervention by a court. In addition, only a very small portion of all of the digital voting systems in the US provide a paper receipt, so that votes can be checked in case of any irregularities in the counting process. At the end of August, the FBI sent a secret document to those in charge of the voting in all 50 states, marked with an instruction that it was intended only for those with a “direct need to know.” It described the attempts by hackers to break into electronic voting systems, as well as the codes and the IP addresses that they used. 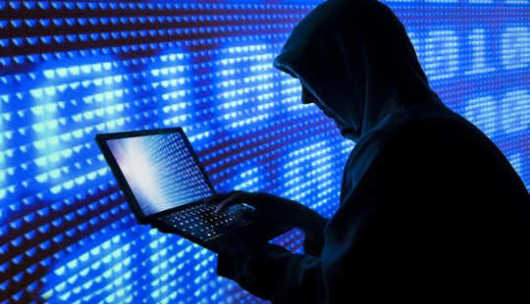 The document warned electoral officials to beware of cyberattacks that had already occurred in a number of states, which were not identified. Jeh Johnson, the Secretary of Homeland Security, has joined this effort to prevent individuals or organizations inside or outside the US from influencing the election process. He held a video conference for those in charge of the voting in all 50 states, with an offer of federal assistance, including security checks and supervision. At the end of the meeting, he announced that he would designate the voting system as “critical national infrastructure” like nuclear reactors or power stations. It should be pointed out that the Russian military has in the past used cyberattacks as a regular offensive tactic. For example, in 2008, it conducted a denial-of-service (DOS) attack on the main computers of Estonia’s government that crippled the country. Years later, Russian cyberattacks dealt major blows to Georgia and Ukraine. There seems to be no direct Russian involvement in the US presidential election process, but the rumors, suspicions, FBI cyber defense instructions, and top news stories have sparked suspicion that the election system might be compromised. The question of who is really behind the attacks remains uncertain, with only some of the attacks identified and even fewer reported to the public. Along with professional hackers, some possibly working for the Republican or Democratic parties, there are also websites that carry news or secret information, and quite a few Russian “hacktivists” motivated by ideology or patriotism. Even if they don’t receive direct instructions or financing from the Kremlin or operate from Russian territory, they may be influenced by winds blowing from Moscow and inspired to initiate attacks on the US electronic voting system.